MOSCOW — Vyacheslav Gorshkov, who teaches the catechism at a Kiev cathedral, was among the majority of Orthodox Christians in Ukraine who had reconciled themselves to the fact that their church answers to the Russian Orthodox patriarch in Moscow. No longer. Mr. Gorshkov does not want to break with the faith, but does want to split with the Russian Orthodox Church, incensed by what he sees as the Kremlin using the church as an instrument of its old imperial control. He is among the majority of the faithful hoping that Ecumenical Patriarch Bartholomew I, the spiritual leader for the estimated 300 million Eastern Orthodox believers worldwide, will defy Russia and grant independence — known as “autocephaly” in the church — to the Ukrainian Orthodox Church. “Acquiring autocephaly is part of the process of exiting the imperial orbit of Moscow,” said Mr. Gorshkov, a religious studies expert. If he and other Ukrainians were once torn about dividing the church, the studied silence of the religious hierarchy in Moscow while Ukrainians died in a war provoked by Russia was, for many, the last straw. “The policy of the Moscow church over the past few hundred years has not been independent at all, it depends largely on the state,” Mr. Gorshkov said. That has been especially true under President Vladimir V. Putin of Russia, who has maneuvered diligently in recent years to revive the idea that Moscow should be the capital for all Eastern Orthodox Christians, in effect making the Russian church an extension of his efforts to restore the country’s superpower status. Mr. Putin bolstered the church both to sell Russia as a bastion of “traditional values,” and to paint his Kremlin as heir to the holy traditions of the czarist empire. Now, the Ukrainian church is on the verge of breaking away, threatening Mr. Putin’s imperial project in a direct and unintended consequence of Russia’s invasion of Ukraine. The Russians, seething, are threatening to break entirely with the mother church, possibly provoking what some are calling the greatest schism in Christianity since the East-West divide in 1054. 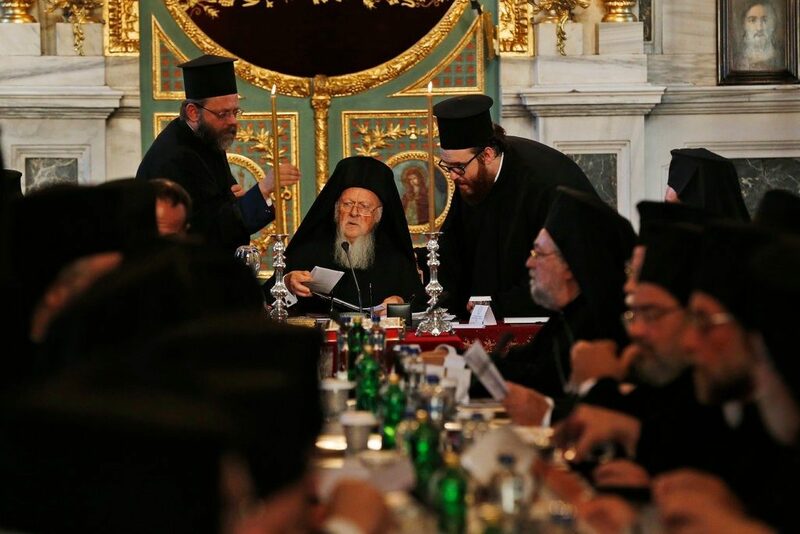 The Russian church argues that Bartholomew, who is based in Istanbul, has no right to remove the Ukrainian Orthodox Church from under the wing of the Moscow patriarchate without its consent. However, Bartholomew’s full title, laden with history, is His All-Holiness, Bartholomew, Archbishop of Constantinople-New Rome and Ecumenical Patriarch. Ecumenical means “universal,” and in that role he is considered “first among equals,” with the right to create new, full-fledged branches of the church. 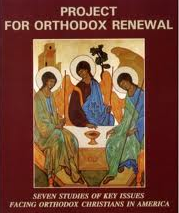 Intrigues and doctrinal disputes within the Eastern Orthodox Church often spool out over decades, if not centuries. Unlike the Roman Catholic Church, which has a single, undisputed leader in the pope, each of the 14 branches of the Eastern branch of Christianity enjoys significant sovereignty. The current fight involves different interpretations of the degree of supervision over Ukraine originally granted to the Moscow patriarchate in 1686. Last month, Moscow took the first step toward a rupture by suspending contacts with Constantinople and dropping Bartholomew’s name from its prayer services. Both sides have much at stake. Many in the Eastern Orthodox Church are weary of what they call Russian arrogance and the excessively nationalistic attitude of clerics under the Kremlin’s thumb. They applaud the patriarch for trying to bring the Russian church to heel. But a schism with Russia would leave the Eastern Orthodox Church weaker and poorer, separating it from the one country that accords it significant money and influence. The Russian church, which puts its membership at 150 million, would also suffer, losing 30 to 40 percent of its most ardent adherents. While an estimated 8 percent or less of Russia’s population attends services regularly, the number is put at double that in Ukraine. A smaller church would undermine Moscow’s effort to call itself the protector of all Orthodox Christians and the so-called Third Rome, after the loss of Rome in the original Christian schism and then Constantinople (now Istanbul) to the Muslim Ottomans in 1453. Perhaps more important, it would blunt Mr. Putin’s attempt to portray his government as a reincarnation of the old czarist empire. 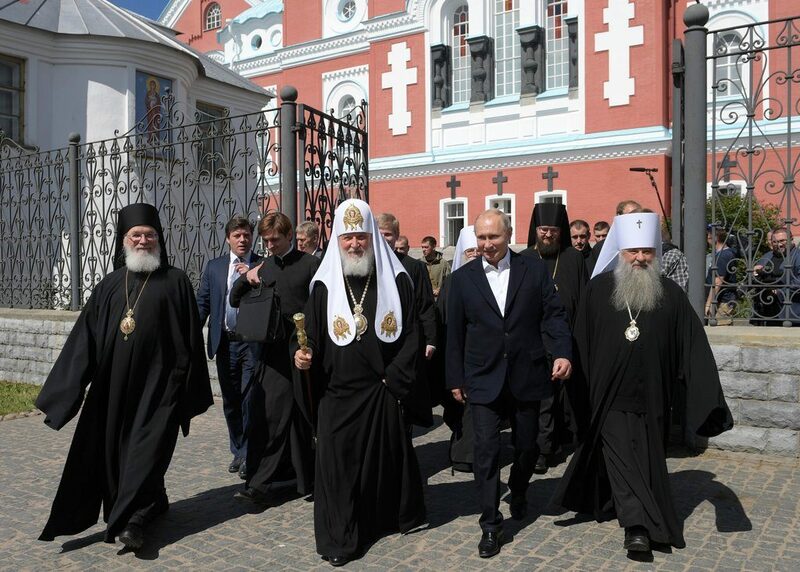 Moscow no longer controls pieces of the empire like Ukraine or Belarus, but the dominion of the Russian Orthodox Church has buttressed Mr. Putin’s claim that they were still one people, one church and one culture. They all belonged to the “Russian World” — a concept promoted by both the Kremlin and Patriarch Kirill I, the leader of the Russian Orthodox Church. Granting independence to the Ukrainian church would rupture the last significant imperial link to Ukraine, and perhaps inspire other churches to seek independence, too. Church experts and some of the faithful in Ukraine said that Moscow had only itself to blame for the looming divorce. Its 2014 invasion and continued support for the separatists in eastern Ukraine backfired by bringing an issue that had been simmering in the background to a boil, they said. 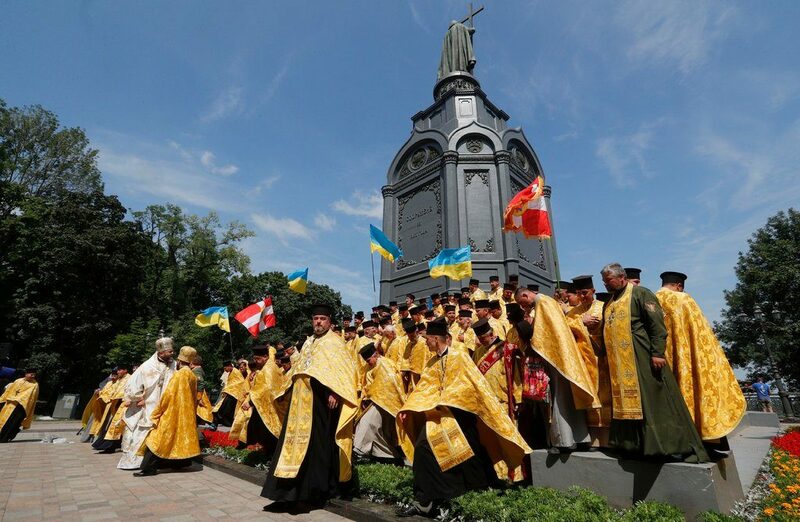 “The war catalyzed this process,” said Father Andriy Dudchenko, a priest at the Holy Transfiguration Cathedral in Kiev. He said that some priests in Ukraine had refused to perform last rites for soldiers killed in the fighting, and had even criticized the dead, saying that they had participated in a fratricidal war. “Many in Russia and pro-Russians in Ukraine do not regard us as a separate nation,” he said. Mr. Gorshkov said he stayed with the Russian Orthodox Church for many years because it was the only church in Ukraine officially recognized by Constantinople and hence all of Eastern Orthodoxy. But the Kremlin, he said, had manipulated the church to foster instability in the same way that it created armed enclaves in Ukraine, Georgia and Moldova. The Russian patriarch, unwelcome in Ukraine since 2014 despite being the nominal head of the church, did introduce prayers for peace. To make matters even more complicated, three factions in Ukraine claim to be the true church; the government appealed to Bartholomew to create a unified, independent church there. Russia and other critics call it a campaign ploy by President Petro O. Poroshenko, who faces a tough re-election battle in March. The Russian side has warned repeatedly that the fight to control individual churches will descend into bloodshed. But supporters of Bartholomew said that he hopes autonomy will heal festering divisions within Ukraine that Moscow has long failed to address. He could issue the ordinance — officially called a Tomos of Autocephaly — as soon as this week. The backbeat to the entire process is the escalating contest between the Russian church and Constantinople over control of Eastern Orthodoxy. Russia has revived a pre-revolutionary effort to dilute the authority of the ecumenical patriarch, according to church officials and other experts. Moscow believes that its large number of adherents gives it the right to lead, especially since the mother church is down to about 3,000 parishioners in Turkey, an overwhelmingly Muslim country. Supporters of the patriarch say canonical law and tradition trump numbers. Russian influence is often based on quiet payments made to impoverished branches of the faith, experts said, but the rivalry occasionally emerges in public. In 2016, Kirill withdrew from a landmark conference to promote unity — a meeting that took 55 years to organize. The disagreement was ostensibly over documents, but critics of the Russians saw it as an attempt to embarrass Bartholomew. Last June, Sputnik, a Russian news outlet that answers to the Kremlin, introduced a Greek language service. Influencing opinion in Greece and on Mount Athos — where 20 monasteries form the spiritual heart of the faith — is considered a major aspect of Russia’s campaign to dominate the church given the central role that Greek hierarchs play throughout the Orthodox world. The Ukraine decision could determine whether Russia prevails. 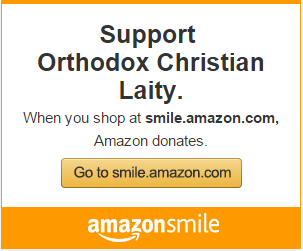 “The only thing that they are selling to the others is power, money and glamour,” said Andreas D. Loudaros, the editor of Orthodoxia.info, a website based in Athens that specializes in church affairs. “Russia is not saying to the others that I am the best because I took theology from Point A to Point B; Russia is not saying to the others that I will unify the Christians. Sophia Kishkovsky contributed reporting from Moscow, Niki Kitsantonis from Athens and Iuliia Mendel from Kiev, Ukraine. A version of this article appears in print on Oct. 8, 2018 , on Page A6 of the New York edition with the headline: Russia-Ukraine Tensions Set Up the Biggest Christian Schism Since 1054.